Grade-2, Turf-1400m, 2YO. Prep for Asahi Hai Futurity Stakes (Grade-1). A Shin Top notched his third straight victory in the Keio Hai Nisai Stakes at Tokyo Racecourse on Saturday. He maintained his unbeaten record. A Shin Top is 2YO Colt. Grade-3, Turf-1400m, 2YO Filly. Prep for Hanshin Juvenile Fillies (Grade-1). 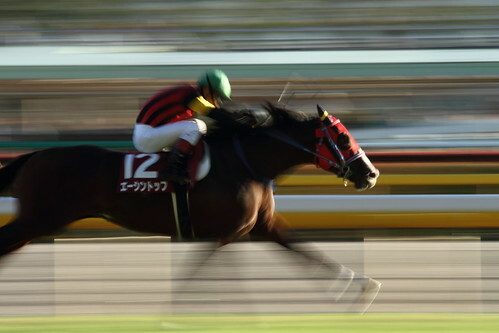 Sound Rihanna impressively won the Fantasy Stakes at Kyoto Racecourse on Saturday. She earned her first graded stakes with a three length. Sound Rihanna was successful in 2 of her 4 starts. Sound Rihanna is 2YO Filly. Grade-1, Turf-2200m, 3YO+ Filly and Mare. Rainbow Dahlia held off favorite Verxina in the Queen Elizabeth II Commemorative Cup Diamond Jubilee at Kyoto racecourse on Sunday. She improved her record from 28 starts to 6-4-7. Verxina finished second with a five consecutive. Rainbow Dahlia is 5YO Mare. Grade-3, Dirt-1600m, 3YO+. Prep for Japan Cup Dirt (Grade-1). Despite badly at the break, Ijigen swept past his rivals in the Musashino Stakes at Tokyo Racecourse on Sunday. The win was graded stakes win number 3 for Ryan Moore in Japan. Ijigen was successful in 5 of his 8 starts.